If you've got your ear to the ground on tech tools & gadgets or you're an ad exec pondering Bluetooth advertising, you no doubt caught the late April release of Bluetooth 3.0. Nutshell version: the big leap forward in this latest, greatest Bluetooth specification is the lightning fast transfer rates that will soon be possible. Check out this article for a great synopsis. 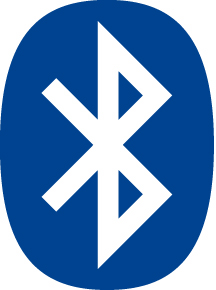 Bluetooth 3.0 will open incredible doors for Bluetooth advertisers. Before 3.0, you could go to a U2 concert and download a ringtone or text to enter a contest. Soon you'll be able to download their entire new album to your cell phone! On Bluetooth 2.1, you could attend Tech Ed and snag small, "download-friendly" program to try and later upgrade. Soon you'll be able to opt for the fully-functional version of the latest Blackberry goodie! But what about existing Bluetooth 2.1 and earlier equipment? Will Bluetooth 2.1 owners soon be in possession of their own Commodore 64 redux? Not as far I this blogger can see. As the above article mentions, firmware updates moving devices from 2.1 to 3.0 should be readily available as Bluetooth 3.0 products hit the market later this year and into 2010.